Weavers Fields lies in the heart of Bethnal Green and is sandwiched between Bethnal Green Road and Oxford House to the north and Dunbridge Street and Bethnal Green Overground to the south. 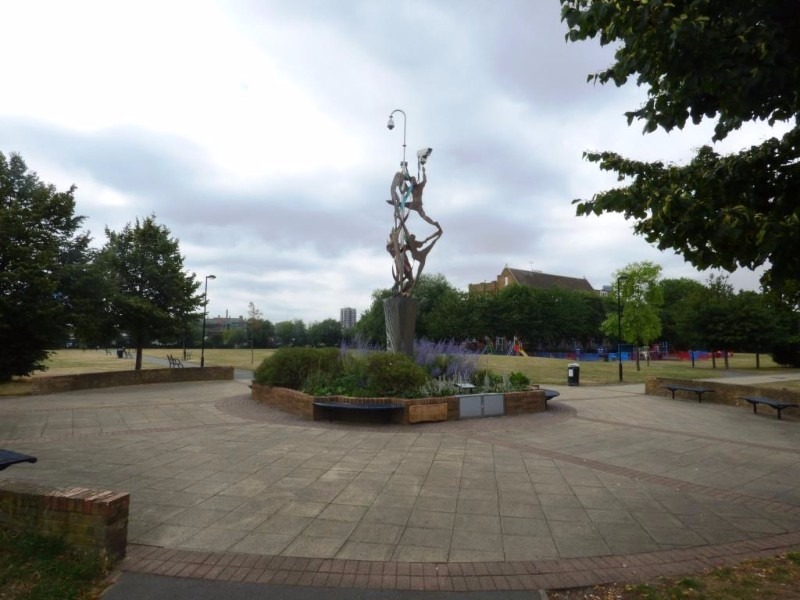 Weavers Fields is the largest park in Bethnal Green measuring at 15.6 acres in total and is the 6th largest open space in Tower Hamlets. It has three full-size football pitches, a woodland walk and plenty of open flat spaces where you can enjoy a day in the sun. Often there are events held in the park; notable examples include Bonfire Night and the celebrations for Bengali New Year. You may also be wondering: why the name Weavers Fields? Well, the area of Weavers Fields used to be occupied by weaver’s cottages that were central to the Huguenot silk weaving industry. However after the Second World War these buildings were demolished to make way for the Weavers Fields Park as green spaces in Bethnal Green were few and far between. There are now references to the heritage of Weavers Fields through the stainless steel artpiece by Peter Dunn and the entrance signs designed by Paul Margetts.